Historically, the fields relating to interaction design have dealt primarily with software and interface design. Commonly used evaluation methods, such as Heuristic Evaluation  and Cognitive Walkthrough , were developed with an eye towards improving usability of computer interfaces. Additionally, research methodologies such as Contextual Inquiry  are usually taught to software developers interested in the more humane side of the engineering world. The field of Industrial Design (also referred to as Product Design) enjoys a process that is similar in nature to that of traditional interaction design. 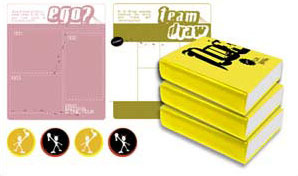 Industrial Designers tend to be aesthetically driven or "right brain" oriented, as evidenced by the placement of Industrial Design curriculums within schools of art and design; however, the large portion of crossover work necessary to be a successful Industrial Designer points towards a powerful set of diverse communication, creative and logic skills. For example, product designers need to be skilled in human factors, anthropometrics, user research and materials and manufacturing processes in addition to having a strong aesthetic sensibility. The proliferation of faster, cheaper electronics merged with the push towards holistic experience design seems to be shifting the focus of interaction design from the screen to the object. Nielsen, Jakob. "Heuristic Evaluation." Usability Inspection Methods. Ed. Jakob Nielsen & Robert L Mack. New York, NY: John Wiley & Sons, Inc, 1994. 25-62. Lewis, Clayton & Peter Polson. "The Cognitive Walkthrough Methods: A Practitioner's Guide." Usability Inspection Methods. Ed. Jakob Nielsen & Robert L Mack. New York, NY: John Wiley & Sons, Inc, 1994. 105-140. Beyer, Hugh & Karen Holtzblatt. Contextual Design: Defining Customer-Centered Systems. San Francisco: Morgan Kaufmann Publishers, Inc, 1998. Electrolux Screenfridge. Electrolux. July 28th, 2003. Raskin, Jef. "The Humane Interface: New Directions for Designing Interactive Systems." Addison-Wesley Pub Co, 2000. 5. Industrial Designers Society of America: Comprehensive Description of Industrial Design. TiVo, Inc. March 20th, 2004. Taub, Eric A. "How do I love Thee, TiVo?" The New York Times. March 20th, 2004. The user experience one has with Nokia's popular 8290 mobile phone is largely defined by the graphical user interface and menu system, yet is driven by a unique set of physical inputs. Electrolux's Screenfridge supports "video-messaging between family members as well as on-line shopping, TV and radio" , truly blurring the lines between physical and digital products. Ford offers an mp3 player in their popular Ranger truck line, and the popularity of digitization has created an abundance of technology in unexpected places such as in the home and workplace. Additionally, as users struggle to understand the complexity of modern interfaces, Jef Raskin's observations seem apt: "As far as the customer is concerned, the interface is the product" . The introduction of a joint education experience focused on these two disciplines seems critical to taming the complexity of modern technology. And seemingly just in time, as technology - and therefore a much more complicated user experience - seems to be creeping into every aspect of our everyday life (daily lives). Industrial Design is the "professional service of creating and developing concepts and specifications that optimize the function, value and appearance of products and systems for the mutual benefit of both user and manufacturer" ; since the industrial revolution, consumers have enjoyed the benefits of products that save time, accentuate our personalities and increase our physiological well being. One of the most interesting of these products and systems to be released in the last few years is the TiVo, changing the way consumers participate in one of their favorite pastimes - television watching. According to TiVo Inc, "TiVo is a one-of-kind service that operates a digital video recorder (DVR), which is like a VCR but with a hard drive" . TiVo has sold over a million units, and enjoys a certain cult following amongst its customers, many of whom have purchased multiple units at several hundred dollars each . 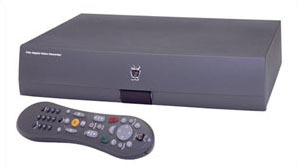 While the heart of TiVo is, essentially, a computer, extensive attention was given to the remote control design as well as the graphical user interface displayed on the television screen. IDEO, a leading industrial design firm with offices spanning three countries, designed the TiVo user experience: "IDEO and TiVo focused emphasis on the remote control, giving it a user-friendly look with its distinctive thumbs-up/thumbs-down preference buttons. The receiver box has a fresh yet transparent form, avoiding the 'flashing 12:00' syndrome with no display or controls on the front panel" . IDEO and TiVo: Personal Video Recorder for TiVo. March 20th, 2004. TiVo's remote and GUI illustrate the growing trend in consumer electronics towards an intertwining of physical form and interface. In the mind of the user, the two are identical; television users desire a cognitively lazy user experience, and TiVo's user interface, both in physical form and digital screen presence, provides that. The reduction in manufacturing and development costs, combined with the dramatic increase in technical capabilities, has led to the increased presence of complicated technology in products that demand relatively simple user experiences. This trend, pointing towards a convergence of physical and digital product design, seems to be just beginning. High speed, broadband wireless connectivity and increased digital storage capabilities present new opportunities to expand the features and functionality of consumer electronics; these new technological advances continue to creep into our lives. Seemingly "fringe" activities within the field of computer science - such as augmented reality or wearable computing - are quickly finding their way into our cars, kitchens and bedrooms. This abundance of technology present in daily life creates new challenges in the design of products, as the digital components generally induce anxiety, create a higher level of cognitive friction, and introduce more complicated digital and physical interfaces and control panels. Traditional HCI education, grounded in user centered screen design, does not adequately address the needs presented by this new generation of convergent products. As the boundaries between physical products and digital products blur, it seems natural for Industrial Design professionals to be educated in the core principles of Interaction Design. At the Savannah College of Art & Design (SCAD), students in the Industrial Design department have the opportunity to declare a minor in Interaction Design. The minor was initially developed to address the growing need in the Industrial Design profession for a designer skilled in structuring highly complicated, often technologically-driven systems and communications. Informal surveys of current students pursuing the minor have found a strong correlation and crossover between the content in the interaction design classes and in their Industrial Design classes. The process presented in both domains is highly similar, and the types of opportunities being addressed overlap in a variety of ways. Specifically, students have commented on the contextual research and design process as being imperative to their success on future Industrial Design projects; they have also commented that the process gives structure and validity to an already familiar but slightly vague method of conducting user research. Many of the projects have introduced the students to a higher level of thinking about their traditional Industrial Designs; the ideas of convergence, creativity, and "out of the box" design solutions have found their way into many other classes throughout their curriculum. The Interaction Design classes attempt to "fill in the gaps" between the convergent disciplines of Interaction and Industrial Design. The courses are focused on the perception, understanding and manipulation of information-based appliances, communications and environments. Students begin their course of study with the classes Introduction to Anthropology and Human Computer Interaction. Introduction to Anthropology introduces the study of the human species, with an emphasis on the observational method and effects of language and culture in art and design. As students begin to discover a deeper understanding of human biology, society and culture, they complement this study with a user centered approach towards designing products. Human Computer Interaction helps the students develop a toolkit of user study methods, design and creation techniques for emerging products, as well as traditional HCI evaluation methods applied to product and interface design. The students in the HCI class learn how to extend the traditional discovery period of design to include documenting and modeling complex organizational systems while taking into account cultural and political business issues. After establishing a methodology and successful process for inquiry and design of interactive products, students take each of three classes: Information Architecture, Interactive Product Design and Perceptual & Cognitive Human Factors. Information Architecture introduces the students to the concepts of hierarchy, data visualization, mapping, diagramming and other visual methods of presenting and structuring information. Through a series of projects, including an adaptation of Hugh Dubberly's "Baseball Project" ,  The Baseball Project. AIGA's Loop, November, 2000. students develop methods to make meaning out of large quantities of data. Information Architecture students recently explored the implications of wayfinding on the SCAD campus; the results included more "traditional" wayfinding artifacts, such as signs and maps, but also included several more conceptual and culturally significant items intended to helps students "find their way" through the experience of their peers: "The gathering and dissemination of information is essential to wayfinding. In the confusing and complicated landscape of college life, you learn as you live. Through this book students will be able to pass on knowledge, creating a map of their experiences for others to follow". The end result is Flux: a sketch-journal that is intended to be passed from user to user, creating a web of recorded information pertaining to life on the unique art and design campus. Students follow several prompts to write, draw, paint or otherwise articulate their responses; when they have finished, they simply hand the book to someone else who can continue to add their own responses, building on the previous work. Interactive Product Design explores the futuristic merging of product and technology. Students take a humane approach towards exploring futuristic devices, and are introduced to readings by various visionaries and academics. As students read work by Mihaly Csikszentmihalyi ,  Csikszentmihalyi, Mihaly. Creativity: Flow and the Psychology of Discovery and Invention. New York: HarperCollins Publishers, Inc, 1996. Johnson, Steven. Interface Culture: How New Technology Transforms the Way We Create and Communicate. San Francisco: Harper Edge, 1997. Maeda, John. Maeda Studio. July 28th, 2003. they begin to explore how digitally enabled products can encourage creativity; readings by Steven Johnson  and examples of interfaces designed by John Maeda  drive the students to explore non-traditional visualizations of beauty, complexity and mathematics in their designs. This integration of futuristic and academic readings into the traditional design process allows students to explore the boundaries of both creativity and traditional usability. Students in Interactive Product Design recently explored the domain of multiplayer gaming, but rejected the standard computer screen as an output device. The Shaman, a storytelling projection system, is intended to assist in the creation of multi-sensory displays of anecdotal tales while capitalizing on technological advances available in the next ten years. The system integrates form language found in traditional tribes or cultures in an attempt to allude to days of simplicity and ritual. Utilizing digital video recording, pervasive storage, and gyroscopes, The Shaman exploits the most advanced research in digital projection, gesture-based input and always-on network infrastructures. The remaining intermediate class, Perceptual & Cognitive Human Factors, attempts to shape new media and tools that will support human use, augment human learning, enhance communication and lead to more acceptable technological developments at the individual and the social levels. Coupled with the anthropometric and ergonomic knowledge gained in earlier Human Factors courses, Industrial Design students learn the effects on the body, mind and culture that result from interaction design. Students seem to be much more successful in understanding and internalizing this highly specific psychological material when given the chance to practice it through a series of specific exercises, such as dissecting the shopping experience from a perceptual point of view or analyzing a printed piece for metaphor and language style. The final course in the minor, Interaction Design Studio, creates a supportive environment for the exploration of a self defined, self paced project. Students explore any direction in human computer interaction and Industrial Design, and create physical and digital artifacts as appropriate. They test their designs, iterate and develop their ideas, and create a substantial deliverable and final presentation as a package to a client. A recent design from this course focused on the development of a biometric-driven identification device for security guards on a local high school campus. Through extensive contextual research, the need for immediate identification of students became apparent. The design shown in figure 4, intended to cost roughly the same to produce as existing two way security radios, was developed and refined through many iterations of user testing and contextual design; these iterations eventually led to a merger of form and interface that utilizes enhanced technology in a humane and highly domain specific manner, enhancing the productivity of the security guards without creating invasive security measures that may disrupt the flow of the educational system. A minor in Interaction Design gives Industrial Designers the skills necessary to succeed in the changing professional world of product design. It would be interesting to explore the inverse: adding an Industrial Design focus to an existing Interaction Design program. One of the present gaps in the above curriculum is the need for students to accurately visualize and prototype their digital design solutions; while highly skilled in physical model making, students have a difficult time communicating their screen-based design ideas. This would presumably be reversed in a curriculum focused on Interaction Design, and extensive form and model making skills would need to be included. An additional reflection regarding the Interaction Design minor is the difficult nature of describing Interaction Design. Professionals, students, parents and educators seem to appreciate the value the program provides after seeing the results, yet have a hard time discussing it in the theoretical. This creates a difficult barrier to entry, especially for a new program. Generally, human computer interaction classes are found in schools of engineering and computer science; these classes focus on contextual software research, programming usable interfaces, and generally tend to be technical in nature. While these classes prepare computer scientists for a future of user-centered design, they often neglect to prepare designers for a future of computer-oriented devices. The studio-oriented approach typical of Industrial Design programs may be a more suitable method for product designers to learn HCI techniques. By fusing the worlds of Interaction Design and Industrial Design, students at the Savannah College of Art & Design are prepared for the challenges of designing complicated software, hardware, and systems. With the lines between physical and digital products constantly shrinking, designers who can comfortably create in both the tangible and the conceptual worlds are the ideal professionals for new product development firms. These designers have developed a strong process that can be applied to the design of complicated products that illustrates the convergence of the physical and digital; Industrial Designers with an interaction design background can command respect in both fields by applying this user centered design process. Nielsen, Jakob. "Heuristic Evaluation." Usability Inspection Methods. Ed. Jakob Nielsen & Robert L Mack. New York, NY: John Wiley & Sons, Inc, 1994. 25-62. Csikszentmihalyi, Mihaly. Creativity: Flow and the Psychology of Discovery and Invention. New York: HarperCollins Publishers, Inc, 1996. Kolko, Jon (2004), "Mixing Disciplines in Anticipation of Convergence: A Curriculum for Teaching Interaction Design to Industrial Designers" In ACM's Interactions, v11 / issue 4.